There’s a no-frills diner in Hanoi that's been serving just one special dish for nearly 150 years: catfish. It is possibly the finest and tastiest catfish in Vietnam and has amazed scores of local diners and tourists, as well as now it seems, Bloomberg writers. The U.S. news site recently published a list of 12 restaurants “worth traveling across the world to experience”, and “Cha Ca La Vong” in Hanoi was among them. Pan-fried squares of sizzling catfish made vibrant with the flavors of dill, onion, turmeric and galangal await diners from both near and far. When the restaurant opened in 1871 as a rebel hideout during French colonial times, the owners decided to name it after Jiang Ziya (La Vong in Vietnamese), a Chinese noble who fished with a bare hook and helped King Wen of Zhou overthrow the Shang Dynasty. 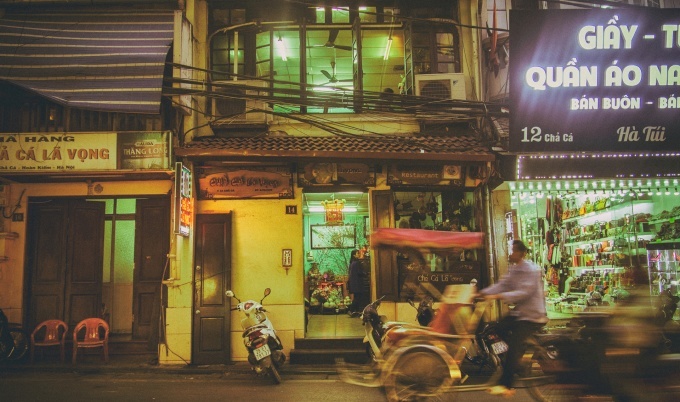 The restaurant sits at 14 Cha Ca, the street subsequently named after the popular dish, in Hoan Kiem District. Bloomberg said notable chefs such as James Beard Award winner Chris Shepherd from Houston have traveled to sample the fish there. "It's a very DIY experience,” the site added. Diners sit at a communal table with a skillet set up over a burner. Turmeric-marinated fish is added to sizzling garlic oil, and then dill and shrimp paste is tossed in. The diners’ job is to add herbs, marinated hot chilis, peanuts and vermicelli, which are all laid out on the table. There are now around 15 restaurants specializing in the dish in Hanoi. The original Cha Ca La Vong has also opened a bigger outlet at 107 Nguyen Truong To in Ba Dinh District, where diners should expect to pay around $8 per head. Hanoi's "cha ca" shares the must-try collection with another restaurant famous for a legendary fish dish in Spain, a three-Michelin-star restaurant in Norway, a “farm to table” restaurant in California, a restaurant with “an impossibly scenic setting” in Maine, a throwback dining room serving local and home-made seafood in Canada, a renowned sushi restaurant in Japan, and other remarkable dining rooms in Austria, Bolivia, France, New York and Sri Lanka. 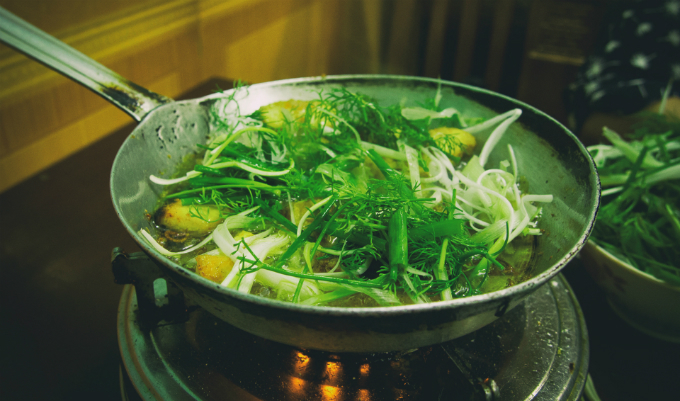 If you're already in Hanoi, don't bother globetrotting and indulge in a steaming skillet now.